This half-day Fire safety training course covers the role of the designated fire marshal (fire warden). You will learn about preventing fires and learn about the different types of fire extinguisher and how to use them correctly. 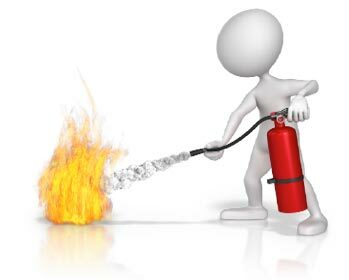 Fire Safety training for staff is a legal requirement in the UK under The Regulatory Reform (Fire Safety) Order 2005 (FSO) which came into effect in October 2006. The course will present an understanding of fire regulations and general fire precautions. It aims to provide you with the knowledge to be become a fire marshal and best practice in the event of an emergency. All trainees will receive a certificate of training valid for three years. Please Note: Maximum 12 trainees per course, 2 courses can be covered in one day.